Three people were dead from the bombs that had exploded at the Boston Marathon finish line. An MIT police officer was dead, slain in an attempt to grab his gun. One terrorist, Tamerlan Tsarnaev, was dead, killed in a shootout days later with police in Watertown. And now FBI agents were in a Boston hospital, questioning Tsarnaev’s younger brother, Dzhokhar, who had slipped away from the shootout and hidden in a boat in a Watertown back yard. He had been shot in the head, face, throat, and jaw before he was captured on April 19, 2013. So when agents questioned him, Tsarnaev answered by scrawling in thick black ink onto a three-hole notebook. The 68 pages of handwritten notes were kept from public view — until now. Federal prosecutors did not use Tsarnaev’s handwritten notes during his 2015 trial, but attorneys handling the appeal of the death sentence he received have filed them as part of the case for judges on the First US Circuit Court of Appeals who will decide whether Tsarnaev’s trial was fair. During the interrogation, Tsarnaev described his motivation, and noted that his thinking had been influenced by his brother who had, in turn, been influenced by Islamic terror organizations’ postings on social media. He said both he and his brother expected to die as a result of their terror attack — but that they were prepared for that outcome because they considered themselves to be mujahideen, combatants inspired to act by their Muslim faith. The interrogation was conducted between April 20 and 22 in 2013 by FBI agents whose primary task was to determine whether the Tsarnaev brothers had allies planning similar terror attacks, according to court records. Tsarnaev repeatedly said he and his brother acted alone. He wrote that “only me and bro” were responsible for building the bombs, armed with gunpowder drained from fireworks, and for the attack at the finish line. Throughout, Tsarnaev focused on one question, “do you have my bro?” and repeatedly asked in multiple ways and at varying times what his brother’s status was. The questioning ultimately stopped when a federal magistrate judge appointed a lawyer for Tsarnaev. Before it was halted, Tsarnaev said he and his brother had, on the spur of the moment, decided to attack the Marathon, knowing that there would be a lot of people there, but not because they had planned to target the race in advance. Instead, he said, they had finished making their remote-controlled bombs at about the same time the Marathon was being held. “We really didn’t know what was going to happen . . . [and]we heard about the Marathon,’’ he wrote. At another point in the interrogation, Tsarnaev defended his sister-in-law, Katherine Russell Tsarnaev, who was never charged even though she was living with the two brothers in the shared apartment on Norfolk Street in Cambridge. Tsarnaev wrote she worked 15-hour days and that he and his brother made sure she never saw them as they drained gunpowder from fireworks to use in their bombs. Although it’s not clear if the notes are arrayed in chronological order, Tsarnaev’s last note appeared to indicate that he had finally learned that his brother was dead. During the bombing, 8-year-old Martin Richard, Krystle Campbell, and Lingzi Lu were killed. MIT police Officer Sean Collier was killed on April 18, 2013, while sitting in his cruiser on campus in Cambridge. Boston Police Sergeant Dennis ‘DJ’ Simmonds suffered a head injury during the Watertown shootout when the Tsarnaevs threw explosives at police. Simmonds suffered a fatal brain aneurysm about a year later, according to Boston police. 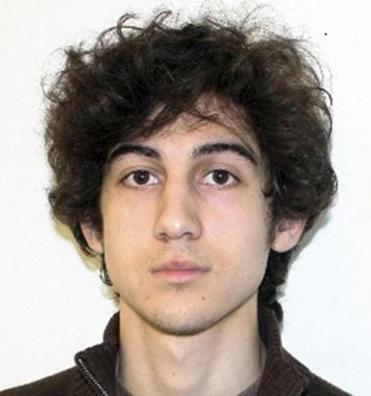 Boston police consider him the fifth person killed by the terror bombers. Correction: Due to a reporting error, the first name of Dzhokhar Tsarnaev’s sister-in-law was incorrect in an earlier version of this story.